With Sherlock on indefinite hiatus, creators Steven Moffat and Mark Gatiss have moved onto a new project that’ll resurrect another classic Victorian literary character. Yes, as you may’ve heard, the writing duo are helming a new Dracula TV series for BBC and Netflix that will air in seasons of 3, 90 minute episodes, much like the aforementioned smash-hit detective drama. And with production set to gear up next year, the show has now found its Count. Dracula will be played by Claes Bang, the Danish actor most recently seen on the big screen in The Girl in the Spider’s Web. Shortly after the news broke, the 51-year-old star released a statement on his casting in which he promised to try his best to live up to the complexity of the iconic character and measure up to the many famous portrayals of the bloodsucker we’ve previously seen. Bang is something of a more traditional choice for Dracula, compared to the modern trend of casting younger – usually British – actors in the role. For instance, Jonathan Rhys Meyers recently played the part in NBC’s short-lived TV adaptation. 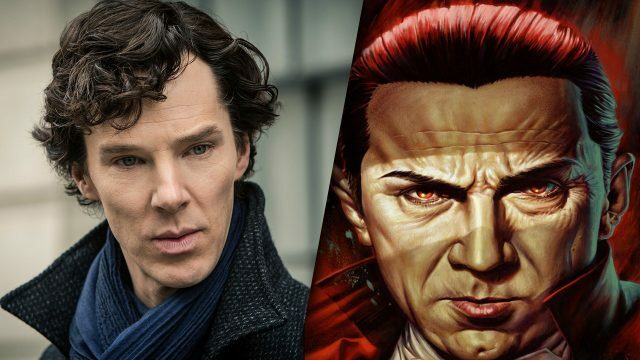 Bang’s appointment makes sense, though, when you consider that Moffat and Gatiss’ Dracula will go back to Bram Stoker’s original novel for inspiration and will take place in 1897 and not the modern day, like Sherlock. Now that the lead role’s been nailed down (in his coffin), we’d expect the other major players to be announced soon. Those familiar with the story will know that characters include Mina Harker, the main object of Drac’s affections and bloodlust, and Dr. Abraham Van Helsing, the eccentric vampire hunter typically cast as the Count’s nemesis. Mark Gatiss has previously said he’d like to play Renfield, Drac’s creepy servant, so we’ll have to see if he puts himself in the part. With the show going before the cameras next year, Dracula will likely arrive on the BBC and Netflix sometime in 2020. As always, watch this space for more.